BodyZone is situated in Carliol Square, Newcastle City Centre, our postcode is NE1 6UF. 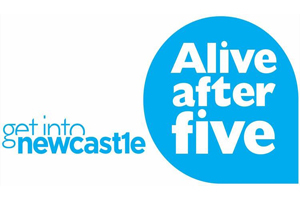 FREE CAR PARKING for BodyZone members is available at Manors Multi Storey Car Park between the hours of 5pm to 10pm, Mon – Sat, (thanks to the Alive after five initiative by “get into Newcastle NE1”) Charges apply for all other times. Take the Quayside Exit off the Swan House roundabout (A186) then take the second left onto Trafalgar Street, then turn left again into the Multi Storey Car Park, the post code is NE1 2BN. Park your car on the 2nd floor or above, come down the exit stairs signposted for City Centre via Carliol Square and Pilgrim Street, when you come down the stairs BodyZone is less than a 2 minute walk up the street on your right hand side. The car park exit gate from Carliol Square closes at 10pm, so be sure to be back in your car before that. There is FREE PARKING on all parking meters directly outside BodyZone before 8.00am in the morning and also after 6.30pm in the evening. 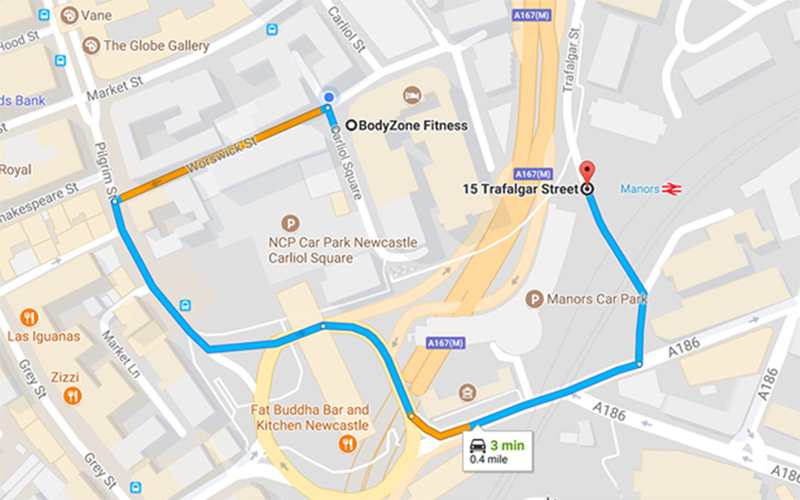 BodyZone is easy to reach by bus and is also short walking distance from Manors, Monument and Haymarket Metro Stations.